Hydraulic Hoses, Industrial Hoses, Fire Hoses, Water Hoses, Sanitary Hoses, Pressure washer Hoses - Hose, Fittings and Couplings from JGB Enterprises, Inc. Effective immediately, JGB Enterprises will offer Custom Made Hose Assemblies that fully comply with the 3A Sanitary Standards. Gates Mini Crimper and Pump combine the performance and speed of a powered pump with the convenience of a hand pump. Since 1977, JGB® has been a leading supplier of hoses and hose assemblies for commercial and military applications throughout the world. We are dedicated to optimizing customer value, and we can achieve this outcome through our many services. The way our customer achieves value today, is to reduce their overall costs. JGB Enterprises strives to offer our customers the most extensive catalog of hose, fittings, and hose assemblies available! Our exponential growth in the Oil & Gas Industry has led us to aggressively expand our product catalog. 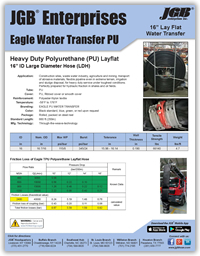 JGB currently offers Heavy Duty Polyurethane (PU) Layflat Hose in 4”ID thru 12”ID, and we’re ready to now offer 16”ID to meet the growing needs of the industry. Our 16” PU will be offered with Vic as well as Claw Style Couplings. 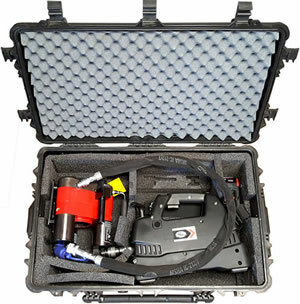 In our quest to offer the highest quality product, fast, and at the best costs we look to you for guidance on what you’re utilizing, & what your needs are when it comes to lengths, ID’s, pressures, etc. Please contact us at (315) 451-2770 today for inquiries and/or suggestions! 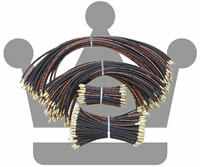 "Hose Assemblies Made in America"
Our Dominance in Hose Assemblies cannot be Matched! JGB’s Custom Hose Fabrication Division provides in-house custom fabricated hose assemblies for many industries including aircraft refueling, fire suppression, waterblast, concrete pumping & placement, Large Diameter (LDH), food, beverage & dairy, and more. Due to our huge inventory of hose and fittings we can quickly cut, assemble, crimp, test and label virtually any quantity or configuration of hose you need. 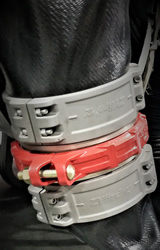 Our 12” crimping capabilities (Seen in the video below) give us the unique ability to cater to the growing demand for large diameter hose assemblies. JGB has also created a customizable, interactive hose tracking website, supporting our customers’ needs in tracking the life cycle of hose assemblies. Contact us today at (315) 451-2770 and let us show you why JGB Enterprises, Inc. is the only choice in State of the Art Hose Assemblies and Services. 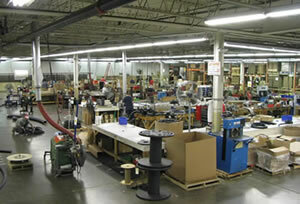 JGB's corporate office in Liverpool, NY, has a unique ability to fabricate and repair custom assemblies, with our experts in welding, engineering, and combined fabrication experience of over 100 years; we welcome your most difficult requirements.